Our best buy ever name-brand front bicycle lamp with over 1,000 lumen output makes for confident riding - even in the dead of night. This year's Macro Drive 1100 XL boasts longer run times than previous versions - for instance 2.5 hours on 650 lumen Blast mode. Alternatively, if you want to enjoy 78 hours run time per charge, select its trippy Femto mode, which gradually fades between high and low beam approximately once every second. 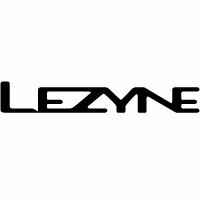 Despite its low drain on the battery, Lezyne's Femto mode is bright enough to ensure you're legal and can be seen after dark. What's more, if your batteries are running low, switch to Femto and the output is still bright enough to illuminate the path immediately ahead of your front wheel when riding, say, a cyclepath after dark.